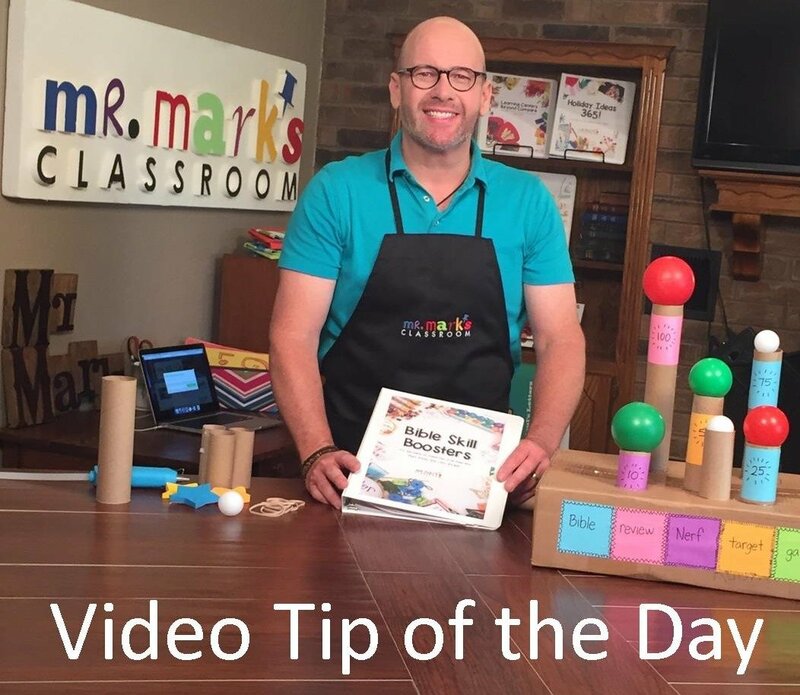 Objective: Score points for your team with regular volleyball rules using a balloon for a ball and a crepe paper streamer net. Place everyone’s name in individual balloons. 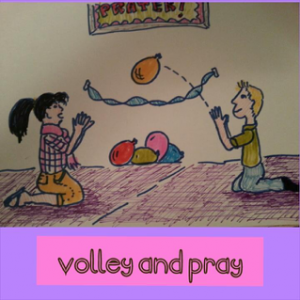 Kids play volleyball but they must stay on their knees at all times with their hands held in a “prayer hold”. If the balloon hits the floor on your side of the net, you lose a point. After each point, pop the balloon and read the name out loud. Stop the game and ask the player whose name was read how you can pray for them. Say a quick prayer over them and introduce a new balloon ball. Continue playing until everyone has had a prayer offered for them. Invite the kids to pray for one another. Prayer makes a difference! Objective: Make decorated rolls of breath mints to prompt kids to pray in the middle of the day whenever they take a mint out. Fresh breath and a fresh prayer! Provide rolls of breath mints, paper markers, and small stickers. 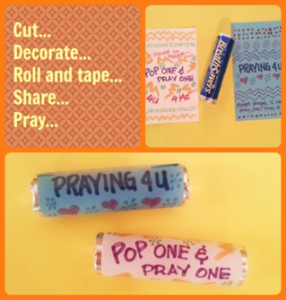 Let kids create a new label for their mints that remind them to pray. Make an extra one to give away to a person who will be a prayer partner for you. Every time you put a breath mint in your mouth you will pray for them and every time they put a breath mint in their mouth they will pray for you. The Bible is full of stories that give examples of people praying for others. Moses, Abraham, and Jesus all prayed for groups of people who needed God’s mercy and love. Ask what your friend needs covered by prayer. Pop a mint and pray! 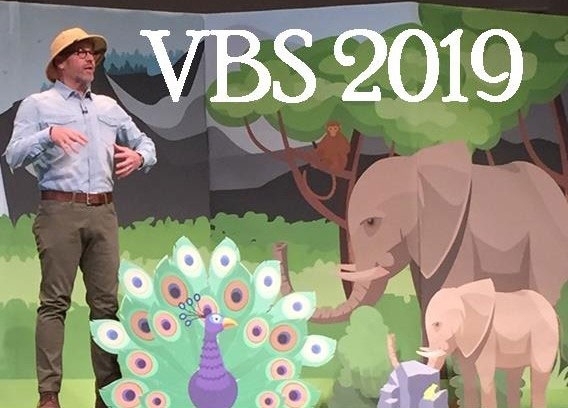 Objective: Be the first to collect all the words of the memory verse and put them in order. 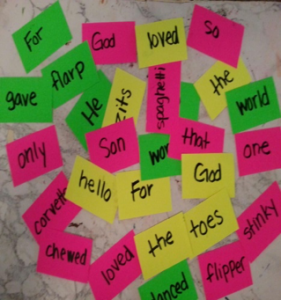 Write the words of the memory verse on small cards. Index cards cut in half or quarters are perfect! Make several sets of these cards (at least one for each player) and dump them all in a bag out of which to draw words. Now add some nonsense words that have nothing to do with the verse. Include some silly words like flarp, stinky, tutu, etc. Kids take turns drawing out words trying to build the verse. Draw one word at a time until they have the correct number of pieces, even if the words are wrong. Once everyone has the correct number, they can throw back as many as they want and draw replacements on their turn. Keep drawing until someone has the verse.